While mitigation activities can and should be prepared before a disaster event has the chance to occur, mitigation becomes essential after a hazard event. Often times after disasters, repairs and reconstruction are completed in such a way as to simply restore damaged property to pre-disaster conditions. These efforts may "get things back to normal", but the replication of pre-disaster conditions often results in a restitutive cycle of damage, reconstruction and repeated damage. Hazard mitigation breaks this repetitive cycle by producing less vulnerable conditions through post-disaster repairs and reconstruction. The implementation of such hazard mitigation actions now by state and local governments means building stronger, safer and smarter communities that will be able to reduce future injuries and damage. Wyoming Region 7, which encompasses Laramie, Goshen, and Platte County, was granted funding from the Federal Emergency Management Agency (FEMA) to create a regional Multi-hazard Mitigation Plan. Each County has previously adopted a hazard mitigation plan specific to their community. 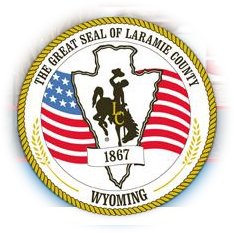 Laramie County/Cheyenne have an existing plan that was adopted in 2013 in accordance with the Federal Stafford Act, The National Flood Insurance Act, and 44 Code of Federal Regulations (CFR). Goshen and Platte County plans were adopted in 2004 and 2006 respectively, and are currently expired as HMP plans must be updated every five years. The Region 7 Hazard Mitigation Plan is now drafted and sent to FEMA for review.